H.S.H Princess Stephanie, Marie, Elisabeth was born in Monaco on February 1, 1965. John Brendon Kelly Jr., her uncle, was Her godfather and the Baroness Elisabeth-Ann de Massy is Her godmother. She started school at Dames de Saint-Maur in Monaco and continued at Dupanloup in Paris. She received Her French Baccalaureat (high school or A level) degree in 1982. 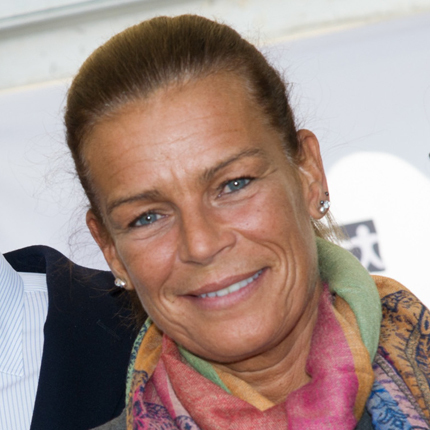 Princess Stephanie is fluent in english and italien. During her school years She studied classic dance and piano. In Paris She discovered gymnastics, a field in which she excelled from 1974 to 1979. In 1978 and 1979 She became the patron of the Grand Prix de Gymnastique de la Ville de Paris. 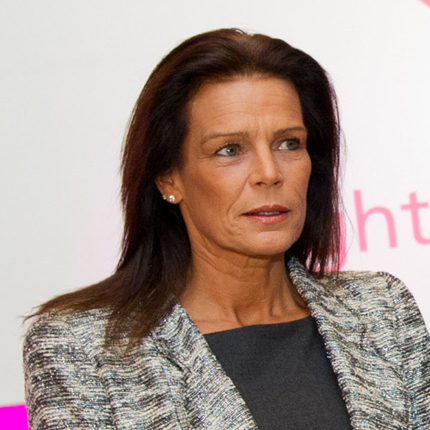 Princess Stephanie also loves swimming, water skiing and downhill skiing. Princess Stephanie interned at the Haute Couture firm of Christian Dior under the direction of designer Marc Bohan from 1983 to 1984. Then from 1985 through 1987 She designed a collection of swimsuits and swimwear under the name of 'Pool Position". 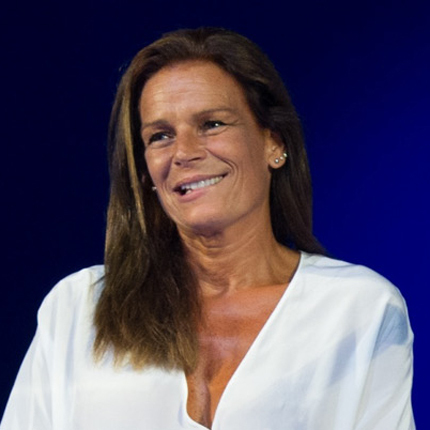 Princess Stephanie is the President of several associations including : Monaco Youth Center, Princess Stephanie Activity Center, Honorary Board member of the Princess Grace Foundation U.S.A. Since 1985, She has presided over the Organizing Committee of the Princess Grace Theatre and the Jury of the Monte-Carlo Magic Grand Prix and since 2005, She has been the President of the Organizing Committee of the International Monte-Carlo Circus Festival. In 2003, She created the association "Femmes face au Sida" which in 2004 became "Fight Aids Monaco". On the 10th November 2005, H.S.H. 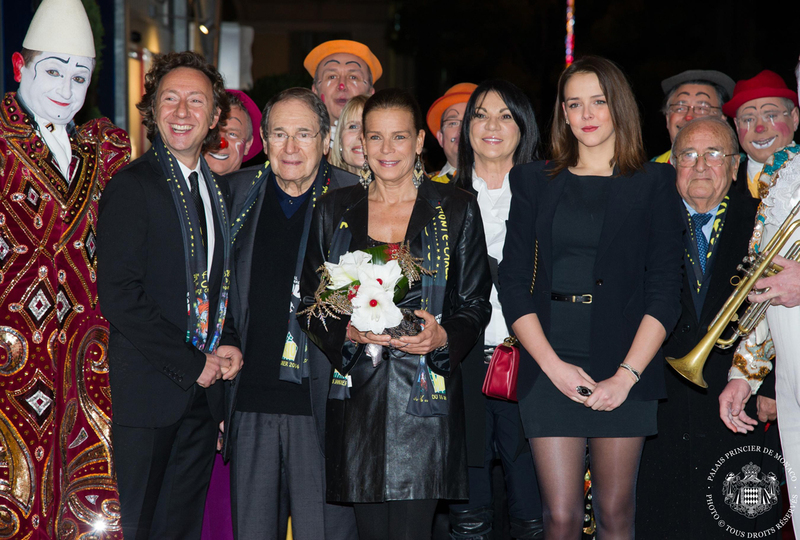 Prince Albert II awarded Her with the insignia of the Grand Cross of the Order of Grimaldi, for Her involvement in humanitarian actions, notably in the fight against HIV/AIDS and in artistic actions, for Her support of circus arts through the Monte-Carlo International Circus Festival, created by Prince Rainier III. On the 2nd June 2006, Princess Stephanie travelled for the first time to the United Nations in New York during a high level meeting on HIV/AIDS in order to explain the contribution of Monaco and to declare Her personal involvement in the fight against the illness. 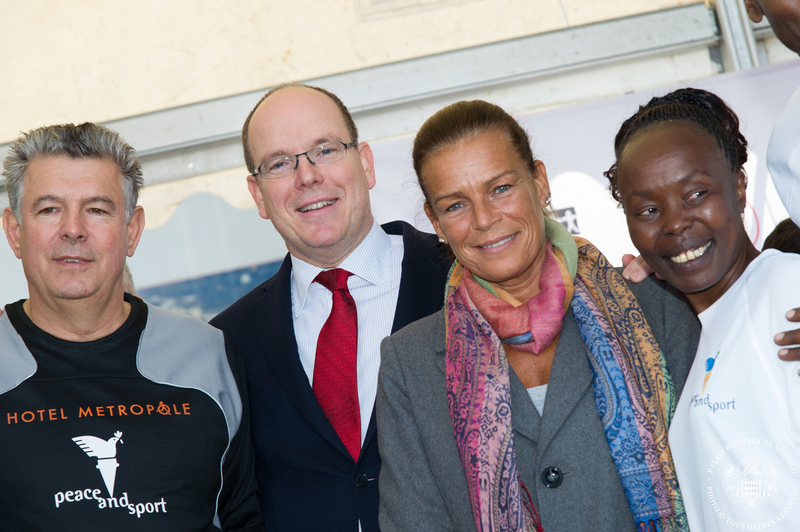 On the 6th October 2006, Princess Stephanie was named as a Special Representative for UNAIDS. She is today a Goodwill Ambassador for this institution. On the 26th June 2010, Princess Stephanie inaugurated, in the presence of H.S.H. Prince Albert II, Her brother, the "Maison de Vie" ("House of Life") in Carpentras (Vaucluse, France). This ambitious project was inspired by her trip to New York in 2006. The Maison de Vie is financed by Fight Aids Monaco: this unique establishment has welcomed since December 2010 persons living with HIV/AIDS in order to enable them to rest, to have a break and to take some time out from the difficulties of daily life, so as to help them restart their lives. On July 1, 1995 H.S.H. Princess Stephanie married Mr Daniel Ducruet. The couple had two children: a boy Louis, Robert, Paul Ducruet born on November 26th 1992 and a girl Pauline, Grace, Maguy Ducruet born on May 4th, 1994. The marriage was dissolved by court order on October 4th , 1996. The Princess gave birth to another girl named Camille, Marie, Kelly Gottlieb on July 15th, 1998.